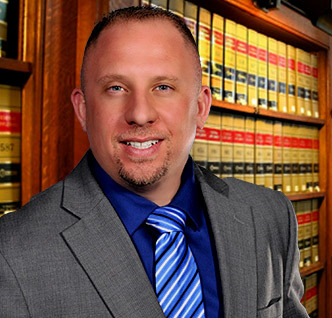 Scott Levy is a Criminal Defense Attorney in Fresno California who focuses his practice exclusively on Criminal Defense and protecting his clients constitutional rights, a place his passions run deep. Before entering Law School, Scott graduated from College of the Canyons in Southern California and went on to obtain his undergraduate degree in Political Science from California State University, Northridge. Upon graduating with his bachelor's degree, Scott attended law school at San Joaquin College of Law, where he was nominated for student of the year, two consecutive years. During law school, Scott prosecuted cases for the United States Attorney's Office, where he maintained a 100% winning record on court trials. Throughout his legal career, he has worked with hundreds of attorneys on cases ranging from DUI to Murder in the first degree. Scott also spent two years training under a Criminal Law Pro Tem Judge. Additionally, Scott was sworn in by United States Federal Court Judge, Oliver Wanger, who was appointed by George W. Bush. Throughout Central California, Scott Levy is known for his dedication to his clients and his unrelenting drive to succeed.